For many years fans of the Power Stone fighting game series, which first appeared on the Dreamcast in 1999 have been asking Capcom for Power Stone 3 but sadly for them it's fallen on deaf ears. Whenever people talk about reviving old Capcom franchises, you best believe that a new Power Stone title is at the top of their list. It's kind of weird that the series sunk to an early grave so rapidly, after giving players two comparatively flourishing titles and a anime series to boot. As Yooka-Laylee, Double Fine Adventure and Project Eternity have shown, Kickstarter can lead to major prosperity for games from disregarded genres and franchises. The notable difference regarding Combat Core, is the developers haven't declared that any of Power Stone's creators are along side them working on the project. Instead, there's confirmation that Robaato, regular Udon artist and current lead on Kickstarter Cryamore, is working on the brand and character portrait art for Combat Core. Although Combat Core isn't being developed by old Capcom developers, with Robaato behind the scenes, it looks a lot like it could have been. 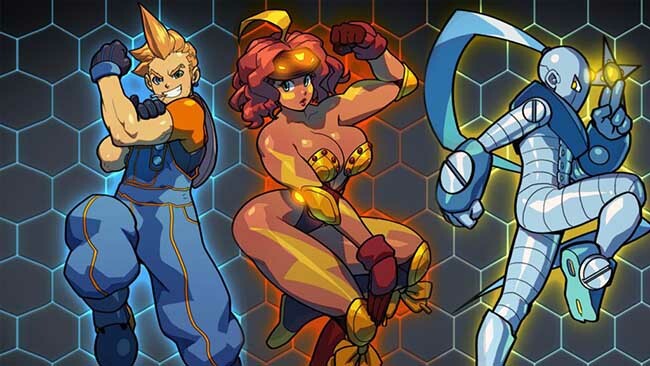 It also appears that the Skullgirls co-creator Alex Ahad is also working on the character designs for Combat Core. To put it into prospective, Combat Core is a fast-paced 3D Arena fighting game currently in development for PC giving you a array of colourful and unique characters to choose from. You'll also be able to customize your character and fight in interactive stages with a variety of weapons and special abilities at your disposal. 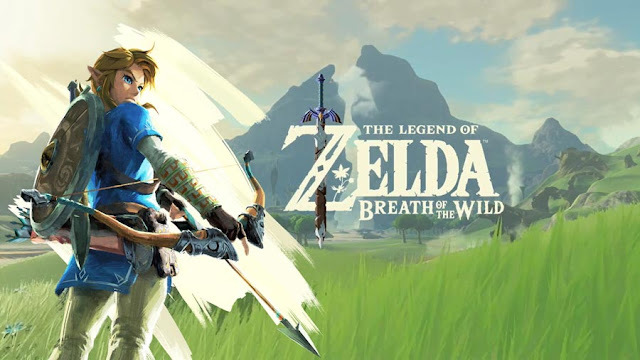 The game features single player, local player and online modes. Combat Core gives you colourful characters and feels like a pleasant throwback to the N64/Dreamcast era. Combat Cores can raise fighter stats and grant special attacks to suit your play style! Oculus Rift Compatible - The first fighting game with native Oculus Rift support! The combatants of Combat Core are a bizarre but colourful bunch each with their own unique look, thus making each character stand out. From these lot we'd have to say our personal favourites are currently Ember and Squaz. Combat Core is looking really fresh so far and not only does it feels like a homage to Capcom's Power Stone series but if given a chance could well exceed it's potential. It will be interesting to see how this game turns out if it manages to reach it's ultimate Kickstarter goal. You can find out more information about Combat Core on it's kickstarter page. 30k reached! We did it! THANK YOU ALL! Getting new update ready! Despite the E3 2015 hype, Combat Core has managed to garner enough support and got the funding it asked for withing the final stretch. 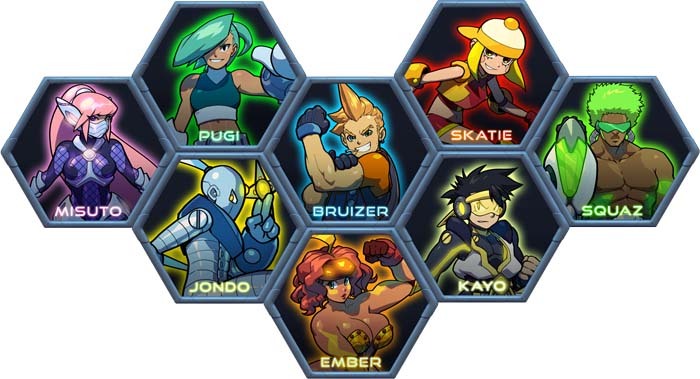 The 4-player arena and inspired Power Stone protege reached it's base $30K goal, and will release via Stream in 2016. And with that said, there's a playable alpha demo available as well! Micah has been working on Combat Core since 2013. Always wanted another game like CustomRobo & Powerstone (which is awesome!) and I hope this gets funded. Enjoyed Power Stone back in the day and totally got that vibe just from the art style alone. Hoping they reach the final kickstarter goal for a story mode for each character. I would literally buy anything that borrows any game-play mechanics from the Powerstone series. Steam is sorely lacking in arena fighting games. Man this can be the Power Stone I never got to try! This is my 2nd chance too. Seriously this looks pretty fun, looking forward to it. Looks rather nice to me.